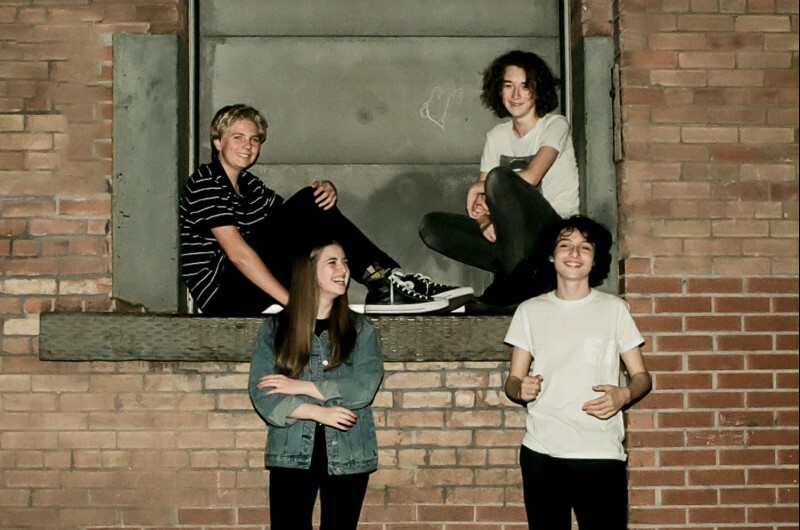 Calpurnia's story is how teenage rock dreams are meant to unfold: four friends, all raised on a healthy diet of the Beatles, Nirvana and David Bowie, and a deep love for their respective instruments, retreat one day to a basement and begin jamming together. They cut their teeth on some cover songs and then, with just enough confidence and a dose of adolescent enthusiasm, they write and record their own tunes. The first of those original tunes is City Boy, out today through paradYse. Watch the video below (directed by Josiah Marshall, bassist from Whitney), and find it in our new music playlists on Spotify and Apple Music. Of course, that's not the whole story, as not many bands get covered by Rolling Stone before their first single comes out. You'll recognise the singer if you watch 'Stranger Things', the actor Finn Wolfhard, with the rest of the band being made up by lead guitarist Ayla Tesler-Mabe, a six-string prodigy whose bedroom-shredding viral videos have earned her legions of fans on social media, bassist Jack Anderson and drummer Malcolm Craig. **Their debut EP Scout, produced by Twin Peaks' frontman Cadien Lake James), is out now.